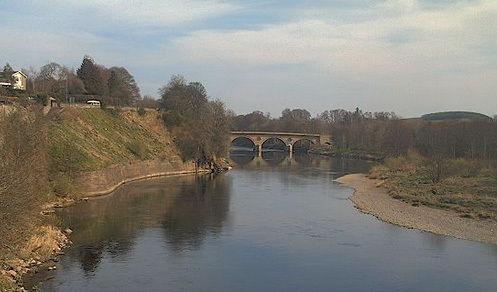 The Drygrange Fishings comprise the Leaderfoot Pool, a long pool which can be fished from either bank with no opposition. Drygrange is probably the shortest beat on Middle Tweed, but on its day and in the right conditions can be most productive. It is let as a two rod beat, with the right reserved to a discreet rarely used house rod. 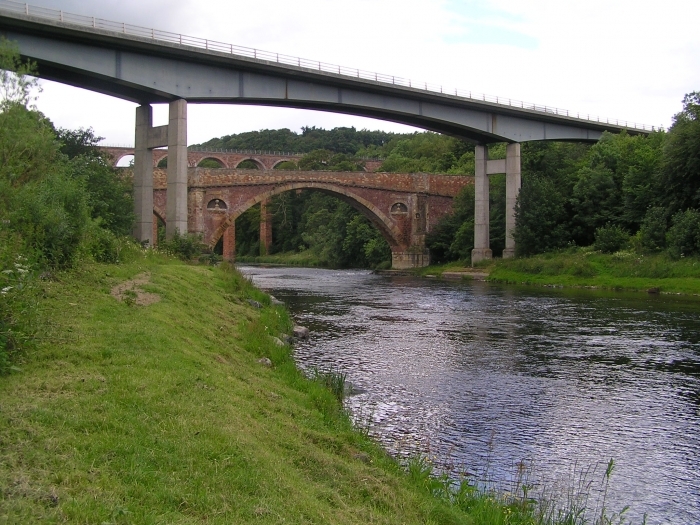 The Beat is in a truly picturesque part of the Tweed Valley, with upstream the red sandstone of the old road bridge and railway viaduct framed by the modern A68 bridge and downstream the dense deciduous woodlands on both banks which turn to auburn with a golden hue following autumn frosts. There are numerous excellent hotels, restaurants and B&B establishments within easy reach and a local coffee shop will deliver reasonably priced hot or cold homemade lunches to the hut should there be interest. Drygrange maintains a policy of fly fishing only throughout the entire season. The hut provides reasonable shelter for small parties on cold and wet days and is equipped with a kettle, gas heating and an emergency loo. Parking is adjacent. Casting lessons by a qualified instructor, both spey and overhead can be arranged given good notice and subject to availability etc. Other than in high water, it is very much a wading beat with no boat available, although the “Wheely Boat” for disabled anglers can and does access the pool. The wading is reasonable, but great care is always essential. All tenants are requested to take all reasonable safety precautions whilst by the river and to wear a suitable life jacket / buoyancy aid when fishing from the bank or wading. Life jackets are provided for those who would like them and a disclaimer must be signed by all anglers, having had the option to use one of our life jackets, or their own or in the event that they opt not to wear any form of buoyancy aid. Drygrange reserve the right to fish a house rod, rarely exercised and only in high water conditions. Spey casting is not essential, but can be an advantage. We do very much welcome feedback and comments from anglers on all aspects of the beat.